San Francisco, CA, September 28, 2017 – VIZ Media, LLC (VIZ Media),a premier company in the fields of publishing, animation distribution, and global entertainment licensing, delivers action and edge of the seat anime excitement as it announces the home media release of NARUTO SHIPPUDEN: THE MOVIE - RASENGAN COLLECTION on October 3rd. The new set will be released in 4-disc DVD and Blu-ray editions and contain four complete full-length NARUTO anime feature films - NARUTO SHIPPUDEN: THE MOVIE, NARUTO SHIPPUDEN: THE MOVIE - BONDS, NARUTO SHIPPUDEN: THE MOVIE - THE WILL OF FIRE and NARUTO SHIPPUDEN: THE MOVIE - THE LOST TOWER. The NARUTO SHIPPUDEN: THE MOVIE - RASENGAN COLLECTION Blu-ray edition will carry an MSRP of $29.98 U.S. / $34.99 CAN. Films are presented in vivid 1080p High Definition with DTS Master Audio 5.1 and 2.0 selections with both Japanese and English dubbed dialogue options. Notable bonus features for the Blu-ray edition include theatrical trailers for all of the films as well as a digital art gallery and a bonus NARUTO animated short. The NARUTO SHIPPUDEN: THE MOVIE - RASENGAN COLLECTION DVD edition will carry an MSRP of $24.98 U.S. / $39.99 CAN. Films are presented with 16x9 video aspect ratio and audio selections for both Japanese and English dubbed dialogue options. Bonus features on the DVD set will include theatrical trailers, a digital art gallery and a bonus NARUTO animated short. In NARUTO SHIPPUDEN: THE MOVIE (rated TV-14), a powerful spirit that once threatened to destroy the world is back! Naruto’s mission is to protect a priestess named Shion, which is the only one with the power to seal away the monster. She also has the uncanny ability to predict someone’s fate. Her latest prediction: Naruto will soon die. Naruto’s only hope is to abandon Shion, but that is not the young ninja’s style. He decides to face her fatal prediction head on – and die! In NARUTO SHIPPUDEN: THE MOVIE - BONDS (rated TV-14), a group of mysterious flying ninja have arrived from overseas to launch a sudden attack against the Hidden Leaf Village, leaving behind a wake of destruction. The group is revealed to be the “Sky Ninja” from the Land of Sky, a nation thought to have been destroyed by the Hidden Leaf Village long ago. To save their village, Naruto and his friends set out to stop this new threat. During the course of the mission, Naruto crosses paths with Sasuke, his friend who has parted ways from the Leaf Village. In NARUTO SHIPPUDEN: THE MOVIE - THE WILL OF FIRE (rated TV-14), four ninjas with Kekkei Genkai justsu abilities that have been guarding the Hidden Villages of Cloud, Stone, Mist and Sand mysteriously disappear from their respective villages. The Land of Fire comes under suspicion as it is the only country to have suffered no loss. Mounting suspicion among the four countries could potentially set off the 4th Great Ninja War. In the Hidden Leaf Village, Tsunade orders her men to keep strict guard and to try to find out what really happened. At the same time, it turns out that Kakashi has left the village. The bad news deeply disturbs Naruto and his friends. In NARUTO SHIPPUDEN: THE MOVIE - THE LOST TOWER (rated TV-14), the Rogue Ninja Mukade is about to be caught by Naruto's team when he summons forth the power of the LeyLine - an ancient underground channel of chakra. Naruto gets caught up in the chakra and is sent back in time to the city of Loran, known for its thousand towers. There he encounters the future Fourth Hokage, Minato Namikaze, on a top-secret mission, and the Queen of Loran, Sarah, whose rule is threatened by Mukade. Will Naruto be able to return to his own time, and can a chance encounter in the past save the future? 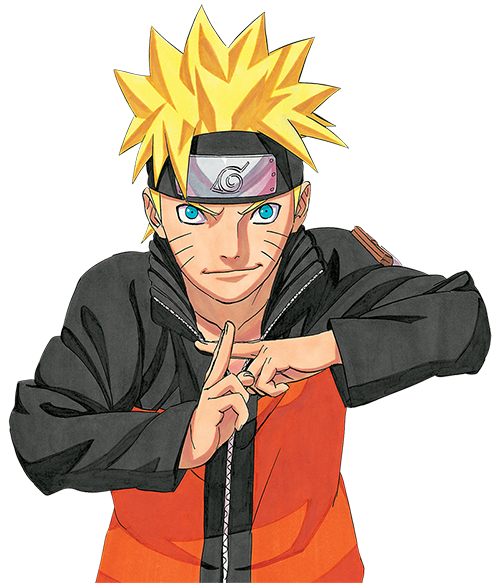 The NARUTO SHIPPUDEN feature films are based on the acclaimed NARUTO manga and animated series, following Naruto Uzumaki, who wants to be the best ninja in the land. He's done well so far, but Naruto knows he must train harder than ever and leaves his village for intense exercises that will push him to his limits. NARUTO SHIPPUDEN begins two and a half years later, when Naruto returns to find that everyone has been promoted up the ninja ranks – except him. Sakura’s a medic ninja, Gaara’s advanced to Kazekage, and Kakashi…well he remains the same. But pride isn’t necessarily becoming of a ninja, especially when Naruto realizes that Sasuke never returned from his search for Orochimaru. Plus, the mysterious Akatsuki organization is still an ever-present danger. As Naruto finds out more about the Akatsuki’s goals, he realizes that nothing in his universe is as it seems. Naruto is finding that he’s older, but will he also prove wiser and stronger? VIZ Media is the North American master licensor for NARUTO and distributes the NARUTO and NARUTO SHIPPUDEN anime series and feature films as well as publishes the bestselling NARUTO manga series in print and digital editions. Additional information on NARUTO and NARUTO SHIPPUDEN is available at VIZ.com/Naruto. For more information on anime titles available from VIZ Media, please visit VIZ.com.